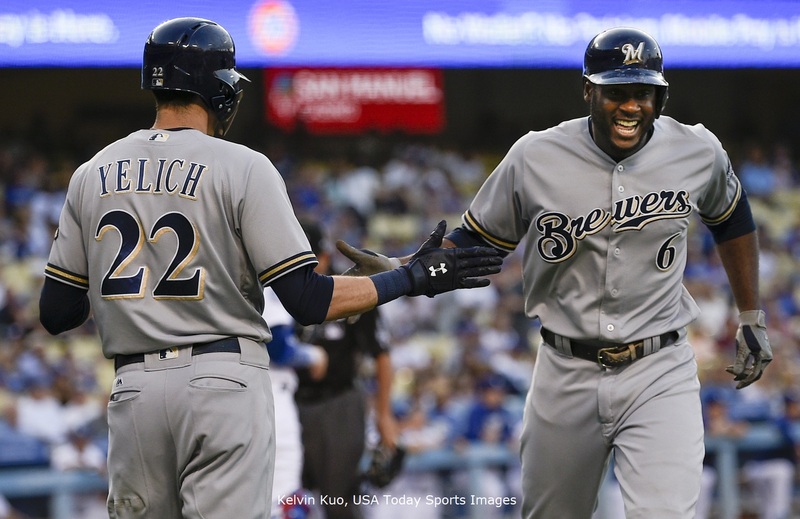 Over the weekend, the MVP race took a decided turn in favor of Brewers outfielder Christian Yelich, as the left-handed batting phenom not only excelled in Pittsburgh, but his right-handed batting counterpart, Lorenzo Cain, nursed a brief injury for the bulk of the series. So it goes, as most of the MVP race discussion devolves into a Brewers-Cubs fandom fight over the color of each player’s respective laundry, Cain’s brief injury stint symbolized his exit from the collective imagination of baseball fans. 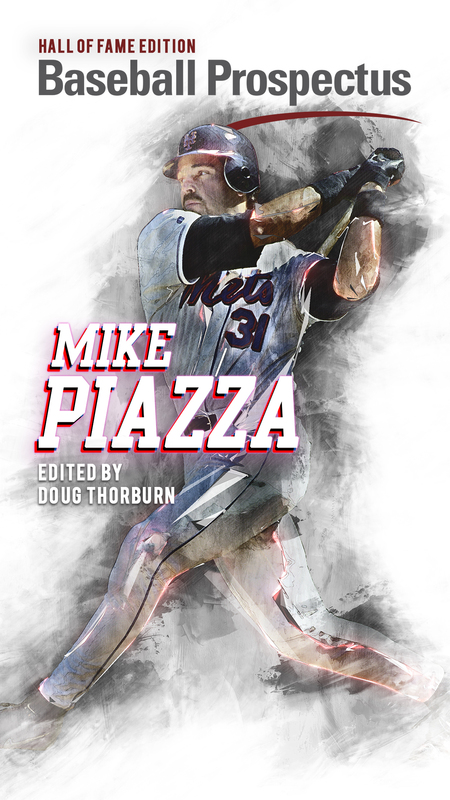 One of the National League’s contenders for Batting Average (.312, third-best among qualifiers), On-Base Percentage (.400, second-best, Stolen Bases (29, fourth), a lead-off hitter (411 season PA) producing a .301 batting average / .382 on-base percentage / .448 slugging percentage in that lead-off spot is now failing to receive top value considerations based on that role. But Brewers fans already knew that Lorenzo Cain was underappreciated in their haste to dismiss him from the MVP discussion, even as debate about Javier Baez and Christian Yelich opened the very grounds for Cain to be re-inserted (for example, according to Baseball Prospectus Baserunning Runs, Cain is a better baserunner than both Baez and Yelich, if that type of metric is worth consideration for overall value). If Javier Baez is an MVP candidate because of his comprehensive game, it is not clear that he is a better candidate than Cain. Lorenzo Cain is a great player, but he is not worthy of MVP discussions because he’s not a “traditional” candidate, as his candidacy depends on Wins Above Replacement (WAR) stats. Lorenzo Cain is a great player, but his value depends far too much on fielding statistics, which are quite uncertain and therefore cannot be relied upon for MVP debates (plus, a defensive candidacy also makes Cain a “new-school” candidate, and therefore much-less attractive than an old-school all-hit, no-field candidate like Yelich). Both of these complaints are quite worthwhile, even where they exhibit ideological shortcomings about measuring baseball, for they tackle the issues of “concept validity” and “false certainty” for the so-called “analytics movement.” Concept validity is, roughly, the idea that when a descriptive or analytical measurement is constructed, it actually captures what it purports to measure. This is one of the most difficult analytical foundations to adhere to when measuring phenomena. In terms of baseball analysis, the common complaint that WAR stats do not measure value is actually a type of complaint about concept validity, even if some of the folks muttering that complaint would scoff about entering into a methodological argument. But it’s worth taking up that claim, to some extent, because if one can discern that WAR does not actually measure what it claims, there is a legitimate cause to examine its use in MVP debates. Additionally, it is possible that WAR measures exactly what it claims and yet still does not serve the task of determining Most Valuable Player, which shifts the debate to the concept validity of an MVP. False certainty is a much easier claim to assess, especially in the context of WAR stats that have not uniformly reported margins of error, and therefore present an impression that each player is some well-defined distance away from every other player (for example, by Baseball Prospectus Wins Above Replacement Player, Christian Yelich is the best player in the NL at 6.52, approximately 0.20 “wins” better than Marlins catcher J.T. Realmuto and 0.78 “wins” better than teammate Cain). Baseball Prospectus does report uncertainty for many of their statistics, which will hopefully begin a trend of other websites doing the same, and an expansion of uncertainty reporting for the most commonly-used stats. This is simply an area for more work, and there are excellent analysts leading the call for including uncertainty in the publication of baseball stats. What is curious, to my mind, is that Lorenzo Cain has faded in National League WARP standing (he’s now approximately seventh best among players with 500 PA), but that has not fully impacted his case for Most Valuable Player. As cited above, Cain’s rank for Batting Average, On-Base Percentage, and Stolen Bases are stellar, and if one moves away from those standard statistics, baserunning metrics also point to Cain as an elite player, and Fielding Runs Above Average (FRAA) places Cain better than the median NL player with 500 PA. The largest complaint one can make about Cain is his slugging percentage (which at .425 is notably better than average, anyway), and this is typically the argument that most fans and analysts are really making about Christian Yelich when they uphold his MVP candidacy: he is currently out-slugging all NL players thanks to his torrid second half. This is an excellent group of batters, including several (Yelich, Paul Goldschmidt, Freddie Freeman, and Anthony Rendon) that demonstrate excellence across the AVG / OBP / SLG spectrum. These are complete hitters (and that’s not to take away from Freeman with the glove, who trounces these other hitters in terms of FRAA), and in some cases Yelich will win because he got hot at a crucial time and edged out the others. That’s not a knock on his talent, just like losing out to Yelich would not be a knock on any of these other hitters. Demonstrating the proximity of these players in terms of counting stats and overall batting ratios should enter some uncertainty in terms of using batting statistics to define an MVP candidate: basically, with this group of players, everyone is splitting hairs (and I’m glad I do not have an MVP ballot, for this reason). Lorenzo Cain finishes ninth in TAv (.313) among NL batters with 500+ PA; to demonstrate the strength of that production, he’s shades worse than Bryce Harper (.318) and tied with teammate Jesus Aguilar (.313) for overall offensive prowess. Javier Baez has fallen to 13th on this list (.309), and to gauge his overall production, he’s roughly as good as Travis Shaw at the plate (.307!). Thus, it is worth noting that one must ask, “Is an MVP solely judged by batting performance?”, in order to consider guys like Cain and Baez in the MVP race. But this should hardly be viewed as a detrimental assessment of these players, and more of a crucial discussion about the concept validity of “MVP” and the uncertainty of the statistics involved. If this second tier of batters falls below the first, it’s not by much. This meandering discussion takes leads to a necessary assessment of fielding statistics. 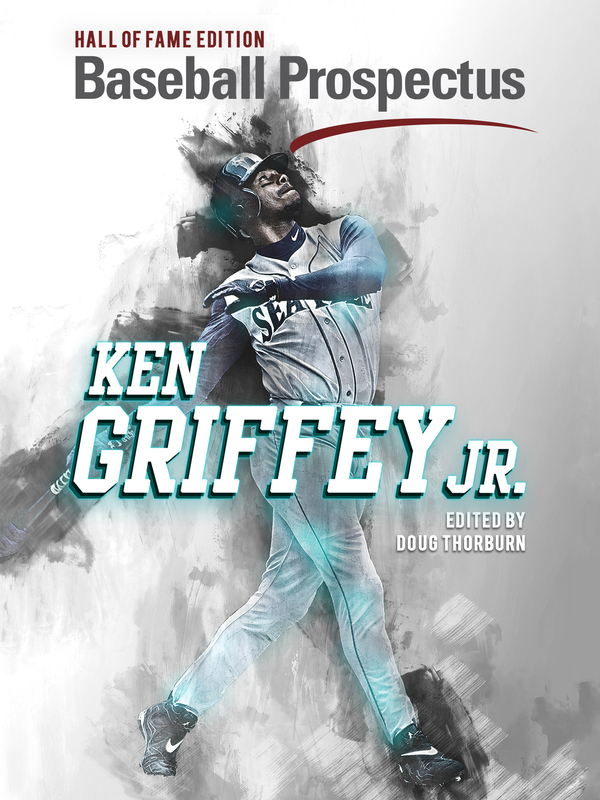 What is particularly difficult about fielding statistics is that most fans and analysts have taken to the idea that since fielding statistics do not align across sources (such as FanGraphs, Baseball Reference, The Fielding Bible, MLB Advanced Media, and Baseball Prospectus), they are therefore not valid stats. This is another way of saying that, apparently, because different fielding statistics use different assumptions to assess fielding, they are not valid or dependable as a group (it should be noted that the validity and dependability of a statistic would then be assessed on its own merits of construction, data inputs, and methodological assumptions and corrections, not its ability to corroborate other measurements). Yet consider the difference between Batting Average, On-Base Percentage, and Slugging Percentage, for example; completely different players could rank in completely different ways for each of these stats, but none of those facts would invalidate the individual stat (this would be like saying, “because Slugging Percentage says Khris Davis is great but Batting Average says Khris Davis is not, we cannot trust Slugging Percentage as a stat”). In short, it is worth questioning the motivation and validity of commonly stated concerns about fielding statistics, and each fielding statistic should be assessed against its own internal construction and assumptions. If batting performance is used as the gate for MVP discussions, and fielding statistics are used to provide comprehensive performance assessments, there are several ways that one can assess MVP candidates. For example, among NL non-catchers with 500+ PA, the only player in the Top Quarter of both TAv and FRAA is Freddie Freeman; J.T. Realmuto’s Adjusted FRAA rates him among the Top Third of all MLB catchers, which severely boosts the value of his excellent batting performance. If one ranks the top NL TAv performers by FRAA, the top five players are Freddie Freeman, Javier Baez, Jesus Aguilar (a seriously underrated defensive first baseman), Paul Goldschmidt, and Lorenzo Cain. Travis Shaw, Matt Carpenter, and Brandon Nimmo round out the top batting producers that are also average-or-better fielders. This type of discussion narrows a list of “all-around” MVP candidates quite well, but it raises another series of problems that WAR purports to solve: how does one assess the excellence of Yelich’s batting performance against the overall package of Cain’s baserunning, fielding, and offensive production? To this observer, reducing this debate to a “new school” problem is ridiculous, simply because the pure baseball skills and role demonstrated by Cain would play in any era, as would Yelich’s classic high-AVG, high-SLG, high-RBI knock out punch at the plate. This is perhaps what makes Cain/Yelich such a fun one-two punch for the Brewers, as they exhibit completely opposing and yet complementary skills on the diamond, without sacrificing aesthetically pleasing and productive traits like a .300 AVG. Viewing this complementary nature is one reason that narrowing an MVP discussion to Baez versus Yelich is maddening, as it is not entirely clear that Baez is the best of the “all-around” MVP candidates, and it is not clear that if one were to choose to isolate a single representative from the Brewers, Yelich resoundingly beats out Cain. Add in a group of first basemen that excel with the glove, and a truly elite catcher, and this MVP race should be used as a proving ground for celebrating the uncertainty of concepts like “Value” while also working to assess their concept validity. So too is this an excellent opportunity to turn away from the false certainty provided by each type of baseball metric, and imagine constellations in which the assembly of each of these elements help to define why one player in this crowded NL MVP field is most deserving of the award. Insofar as I am not yet ready to abandon Cain-for-MVP arguments, it is worth emphasizing the conundrum of this crowded, talented pack.